Spiral Looper makes all this possible with just one switch in a minimal, ultra-compact size. 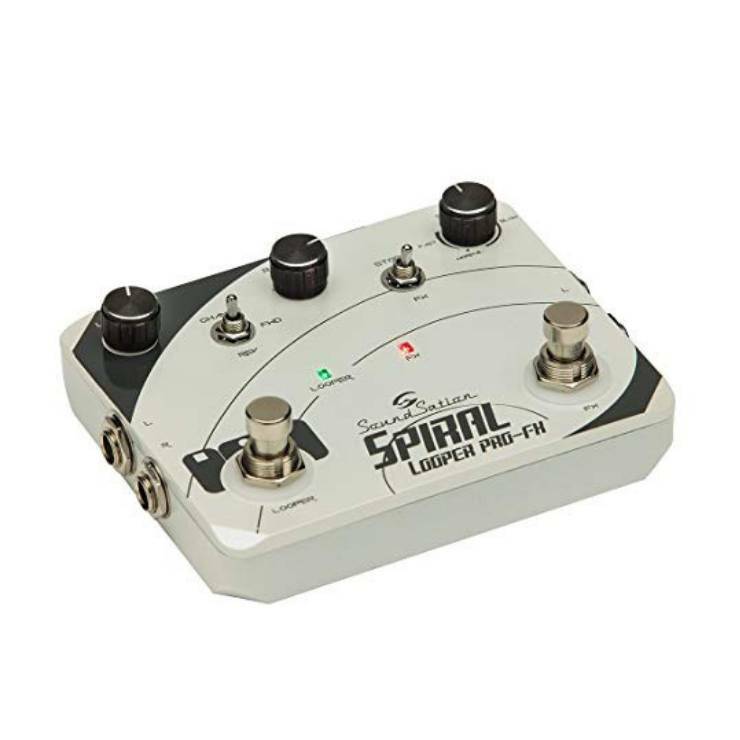 Spiral Looper Pro-FX features ad additional 'FX' switch that can be used to engage 3 effects (change, forward, reverse) or as 'Stop' function for the loop. More, Spiral Looper Pro-FX spots stereo in/out providing more opportunities especially on stage.